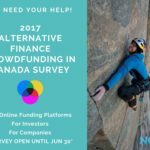 Nov 4, 2017 Toronto -- Canada’s crowdfunding regime must be competitive, in line with global trends, and ‘smarter’ to enable wider access to small amounts of capital (i.e. < $5 million) by early stage companies. There is a ‘funding gap’ in the market as many smaller companies find it extremely challenging to raise funding. This means fewer innovative start-ups, fewer opportunities for investors and constraints on economic growth (and jobs). Since the regulatory regime came into force on Jan 25, 2016, the National Crowdfunding Association of Canada (NCFA) has conducted numerous stakeholder consultations which overwhelmingly tell us that the current requirements are overly prescriptive, complex and burdensome (costly). 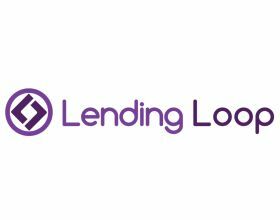 They restrict crowdfunding to a limited number of investors and discourage smaller issuers and licensed dealers from participating. As a result, Ontario and Canada are falling behind international comparators such as the United Kingdom (U.K.) and the United States (U.S.). Companies and investors are reluctant to participate due to the high costs (relative to the small financing size), unwarranted transactional and ongoing regulatory burdens, and educational gaps. This pushes many talented entrepreneurs, investors and key stakeholders to overseas jurisdictions that understand (and support) innovation and the economic potential of start-ups and small businesses. In its 2017 Ontario Exempt Market Report, the Ontario Securities Commission (OSC) confirmed that M1 45-108 had not been used at all in Ontario. 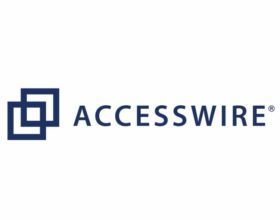 A small number of issuers have used online platforms to raise capital under the Accredited Investor or Offering Memorandum exemptions. In the NCFA’s view, this warrants further analysis and changes to the existing regime. The U.K. has a more innovative risk-based regulatory approach that is acknowledged to be world class and is highly adaptive to emerging technologies. NCFA strongly encourages Canadian regulators to study its approach. The U.K. also has assumed a leadership role with incentives and funding to support early market traction and education. In the U.K., crowdfunding activity continues to flourish, representing 25% of all equity deals announced in 2016. The U.S. has also made significant progress with 134,000 small businesses benefiting from crowdfunding in 2016 (some of which are Canadian) versus only 7,450 in Canada. In the U.S. there is an ongoing effort to fix bugs and improve regulation with a focus on protecting investors and providing improved opportunities for smaller entrepreneurs and investors to generate wealth (e.g. “H.R. 4855 Bill “Fix Crowdfunding Act” passed by the House on July 6th, 2016). "Urgent need for regulatory change that must be addressed from the top down to ensure these issues have a political champion with the mandate to reduce critical barriers that limit economic growth and Canada's ability for fintech innovations and peer to peer distributed technologies to be globally competitive. ", said Craig Asano, CEO, NCFA Canada. Thanks to the NCFA internal working committee on regulations and governance, lead by NCFA Advisor, Robin Ford and the numerous individuals and companies that participated to prepare the submission, and/or participate in various meetings with government agencies, such as the MoF, BCSC, OSC and Competition Bureau across the country to foster Canadian fintech competitiveness and help reduce barriers for both new entrants and operators looking to scale and remain competitive with international trends. On October 20, NCFA met with with Ontario's MoF to discuss ways to enhance access to capital (esp. 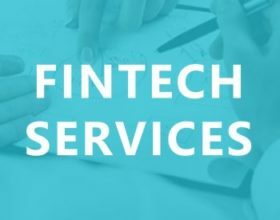 for small businesses), stimulate investment and improve competitiveness in line with international fintech trends & distributed technologies impacting Crowdfinance, P2P, Blockchain ICOs, Altfi and global digital marketplaces. Work harder to harmonize and reduce unjustified regulatory burden: We strongly encourage the Ontario government, and the OSC, to work smarter (and harder) to streamline regulation across the country, reduce undue burdens that undermine cost effective capital formation for young companies (and that bear no relation to the risks presented by crowdfunding), and provide the required resources and support to encourage the crowdfunding sector and to improve Ontario’s competitiveness. Canada (Ontario) Needs a political champion to promote regulatory change: Industry needs to garnish support from the Ontario MoF to champion the proposed regulatory changes deemed the highest priorities for change based on data/evidence, consensus from wide stakeholder consultations and comparative analysis of Canadian markets with international jurisdictions such as the UK and the US. Address urgent pressing challenges and implement NCFA's proposed specific regulatory changes: such as lack of harmonization and mutual recognition, overly prescriptive rules (vs. risk/principles based regulatory approach), full service Sandbox with cohorts etc (vs current concierge service) and educational/resource gaps. 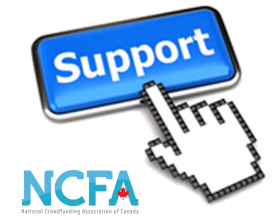 The National Crowdfunding Association of Canada (NCFA Canada) is a cross-Canada non-profit actively engaged with both investment and social crowdfunding, blockchain ICO, alternative finance, fintech, P2P and online investing stakeholders across the country. NCFA Canada provides education, research, leadership, support, and networking opportunities to over 1600+ members and works closely with industry, government, academia, community and eco-system partners and affiliates to create a vibrant and innovative online financing industry in Canada. Join Us! Learn more About Us or visit ncfacanada.org.